Ignatius Ajuru University of Education, IAUE Graduands Charged to Be Worthy Ambassadors During 35th and 36th Combined Convocation Ceremony Held on September 1st, 2018. Ignatius Ajuru University of Education graduands have been charged to be worthy ambassadors of their alma mater. 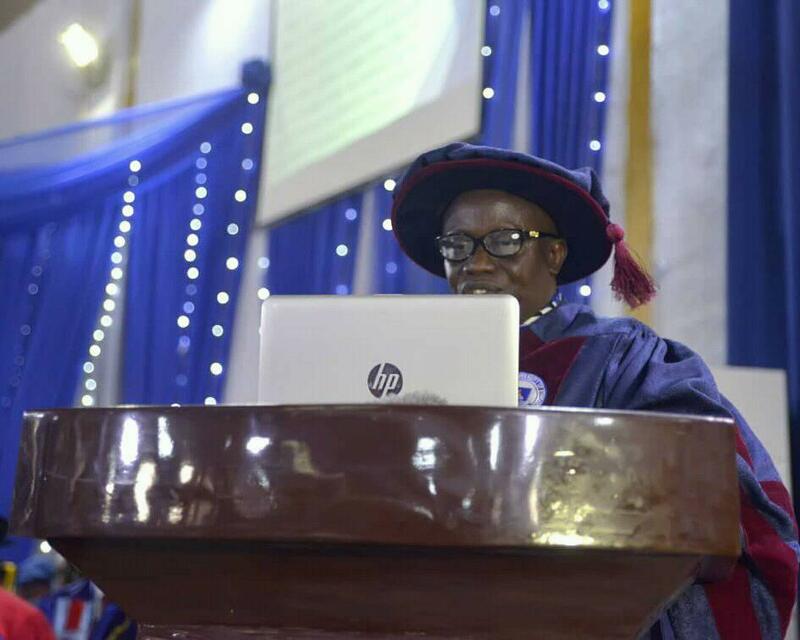 The Vice Chancellor of IAUE, Professor Ozo-Mekuri Ndimele gave the charge during the combined 35th and 36th convocation ceremony of the university which held on Saturday September 1, 2018. He advised them to remain connected with the university and to identify areas that they can assist in its development. Professor Ndimele who thanked the State Governor Nyesom Ezenwo Wike for gracing the occasion, informed the Governor that in a bid to produce multi talented graduates who will be creators of jobs and not job seekers, Senate introduced compulsory skills acquisition programme for students who will graduate with two certificates, that is Bachelor's degree in their main subject and a certificate or diploma in a hands-on skill. He opined that the scheme would checkmate the school dropout syndrome and appealed to Local Government Chairmen and other influential persons in the State to sponsor some students from their locality to acquire some skills. His administration he stated, have reconstituted students disciplinary committee charged with the responsibility of handling disciplinary matters relating to students in line with the university zero tolerance for cultism and related activities. The Vice-Chancellor appealed for a modifications in the name of the university and or an expansion in the core mandate for introduction of some courses in liberal arts and social sciences without spending huge sums of money for NUC's resource verification. The university according to him, have spent more than ninety million naira since he came on board on NUC resource verification alone even in subjects that already have departments due to the proposal to offer non B.Ed components of the subjects that is BA and BSc. Professor Ndimele among other things also appealed for timely implementation of the harmonized salary structure, recruitment of some staff in critical sectors, befitting convocation arena, equipping an 800 seated capacity ICT building with computers and generating set to save the university from the looming power crisis. A total of 4,184 students graduated comprising 489 master's degrees, 152 postgraduate diploma and 3,543 Bachelor's degrees. 15 of the graduating students obtained first class honours degree.